Downtown Richmond is front and center in this month’s San Francisco Business Times. Pick up a copy at your local new stand or in our office…or check out the online edition for the supplement all about the positive developments and opportunities happening Downtown and around town. 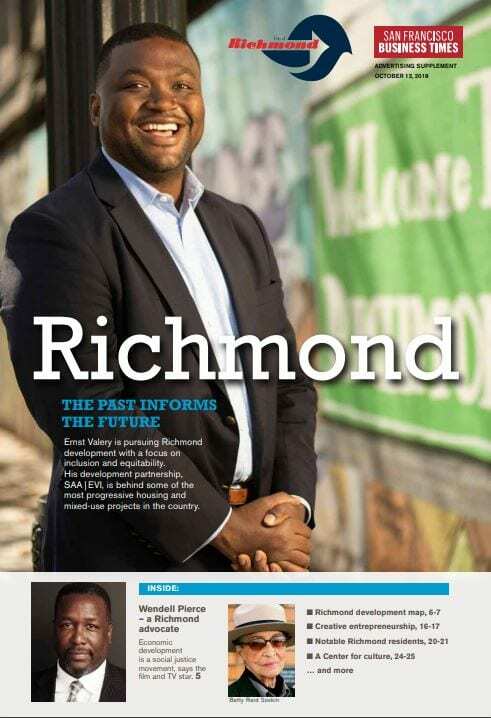 Make sure you also check out the articles about Richmond’s established and growing creative, event, food, innovation, and entrepreneurial scenes. We are especially loving spotlights on the East Bay Center for the Performing Arts, Taste of Richmond, the City’s small business resources, Your Way Pizza, and Pogo Park.